For years, Moore & Botzong CPAs, PLLC has been providing quality, personalized financial guidance to local individuals and businesses. Our expertise ranges from basic tax management and accounting services to more in-depth services such as tax audits, financial statements, and financial planning. Moore & Botzong CPAs, PLLC is one of the leading firms in and throughout the area. By combining our expertise, experience and the team mentality of our staff, we assure that every client receives the close analysis and attention they deserve. Our dedication to high standards, hiring of seasoned tax professionals, and work ethic is the reason our client base returns year after year. Our mission is to help clients maintain financial viability in the present, while taking a proactive approach to achieve future goals. This requires open communication to reach an understanding of our clients' needs through research and sound analysis. Moore & Botzong CPAs, PLLC is dedicated to meeting these goals with high standards of excellence and professionalism. We have been a staple of the area's business community for years, and pride ourselves on the level of esteem we have earned. Our dedication to hard work has earned the respect of the business and financial community in and around the area. We believe this to be a direct derivative of our talent and responsiveness to our client base. Whether you are a current or prospective client, rest assured that individuals and businesses who choose Moore & Botzong CPAs, PLLC receive competent and timely advice. Before joining the public accounting environment, Pam received a Bachelor of Science and Master of Business Administration from Houston Baptist University along with sixteen years in the corporate environment. Pam is active in numerous professional organizations and has served on the boards of BNI Town & Country, Professional Women's Exchange Group (PWEG), Women's Business Support Network (WBSN), the Professional Group and Cancare; Professional Referral Organization of Women (PROW) and The CPA Club and various non-profit organizations, served on the board of directors for ARCS (Achievement Rewards for College Scientists), and Houston Baptist University Alumni. Pam also received the WBSN Women of Excellence 1999 award, the 1994 Houston Baptist University distinguished alumni award and the 1993 ACRS Lite service award. The firm is a member of the American Institute of Certified Public Accountants, Texas Society of Certified Public Accountants and the Houston Chapter of Certified Public Accountants. Pam shares over 40 years of tax, accounting, and business management knowledge with clients to help them grow their business and consults with them to make wise financial decisions. Karen is a proud alumnus of Texas A&M University. She started her career with this firm over 25 years ago. Karen brings vast knowledge and experience in the areas of individual and business tax, accounting, and payroll and enjoys working with small business owners to find the best solutions to their tax and accounting needs. Karen’s goal is to build long-term relationships with her clients built on trust and mutual respect. This type of relationship allows her to provide guidance and advice as the businesses and lives of her clients grow and change. 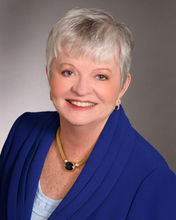 She is a QuickBooks Pro Advisor, a member of the AICPA and of the TSCPA. Karen currently serves on the Board of the Professional Women’s Exchange Group (PWEG) and H-Town Connections and is an active volunteer at her church and in the local community. Before joining our team in 2011, Trish worked in the private sector in accounting for various industries. She is also a certified teacher in the State of Texas. Using her teaching background and knowledge as a QuickBooks Online ProAdvisor, Trish patiently trains small business clients and bookkeepers in efficient ways to utilize QuickBooks. She understands the complexities of tax and accounting and how each can affect our client’s daily business operations as well as their individual financial futures. Trish helps our clients with all areas of their business including tax preparation, accounting services, and payroll reporting and preparation. 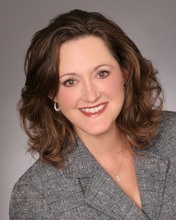 Trish is a member of the AICPA and National Society of Accountants. She is an Enrolled Agent admitted to practice before the Internal Revenue Service. Trish and her husband have lived in or around the Houston Area their entire lives and now raise their two daughters in nearby Montgomery County. In her spare time, Trish volunteers with the Girl Scouts and coaches basketball. She loves to read and watch the Houston Texans and Rockets. Stefanie has been working for the firm since 2007. She is an expert in payroll and holds the Fundamental Payroll Certification (FPC) granted by the American Payroll Association. She enjoys providing comprehensive payroll services to our small business clients, including payroll processing, quarterly payroll reporting, and W-2 preparation, as well as 1099 preparation services. Stefanie has extensive QuickBooks bookkeeping experience and is a QuickBooks Online ProAdvisor. She is also responsible for electronically filing hundreds of tax returns each year. Stefanie is very familiar with the small business world, having previously worked as an office manager for a Houston small business that distributed labels and promotional products. Stefanie is fulfilling her dream of learning to play the pipe organ, is active in her church choir, and has served as a committee chairperson at her church. She also enjoys playing the piano, gardening, reading, and paper-crafting. Agnes Vasquez has been an administrative assistant with Moore & Botzong CPAs, PLLC since 2013. In this role, she keeps our team running in perfect harmony, managing appointments, and providing daily support to the entire staff. She is no stranger to customer service, having spent 20 years in customer relations, along with having her own small business which taught her the importance of organizational skills. Agnes assists our clients on a daily basis by sending reminders of important accounting and tax deadlines, processing payments or just offering a helping hand and a smile. Agnes is a member of the H-Town Connections networking group and helps her husband expand his small business in her spare time. She is active in her church and volunteers as a mentor for girls and women young at heart. Nancy Wintle is an administrative assistant that joined our accounting and tax office in 2014. She brings an extensive background in customer service and held a management position for a large distribution company in the Houston area. Although she wears many hats, one of her primary responsibilities is file data maintenance of our physical and electronic client files. Nancy is able to quickly help our clients navigate through their secure client access accounts and help them send or retrieve sensitive files with ease. Moore & Botzong CPAs, PLLC is aware of how important it is for a small business to maintain a presence in social media. Nancy helps us with this by keeping our Facebook page constantly updated with relevant and timely information for our clients as well as happenings around the office. Please “Like” our Facebook page to check out Nancy’s work. When Nancy is not assisting team members and clients, she enjoys photography, yoga and spoiling her dog, Lily.